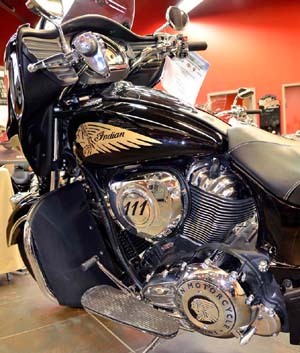 IN-V201:A great way to help protect from rain, sleet, bugs, cold weather and debris. 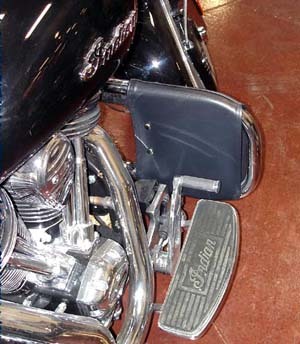 These easily snap to Indian round bars which are used on the Roadmaster, Springfield, and Chief. 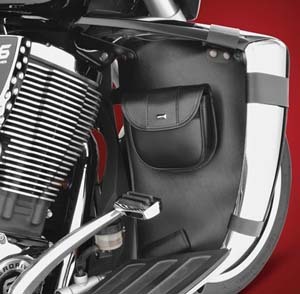 Comes with two easy mount removable pouches for convenient storage. Made in the USA. 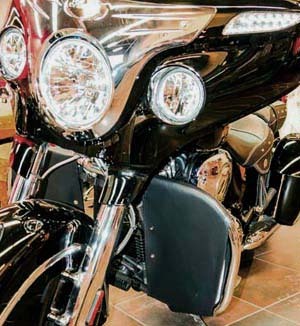 Fits Indian Round Bars 2879581-156, Roadmaster, Springfield, Chief. 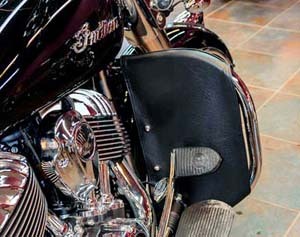 IN-201M: Soft Lowers for Indian Mustache Hwy Bars, Roadmaster, Springfield, Chief, Chieftain, Made In USA. 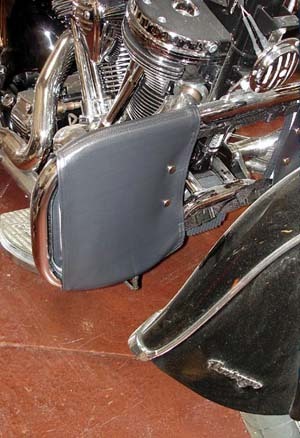 Soft Lowers: These Engine Guard Chaps are designed by the factory for a custom fit for each engine guard model. The process begins with precise measurements from which a prototype is made for a test fitting. Adjustments are made and a final pattern is created. All are assembled using commercial equipment by professionals. 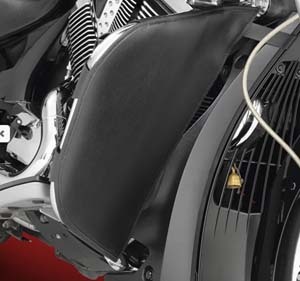 The engine guard chaps are available in a top quality "leather look" marine grade vinyl. They go on in about a minute and come off in less than 10 seconds. All chaps are designed to provide maximum protection against wind and water providing you with miles and miles of warm dry feet. They also come ready to accommodate highway pegs. 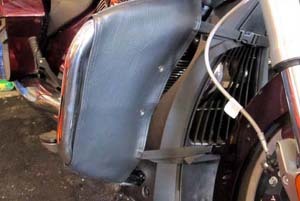 SL-IND/F/-S: Soft lower motorcycle chaps (aka rain guards) eliminate road spray and keep you warmer without a bulky motorcycle fairing! 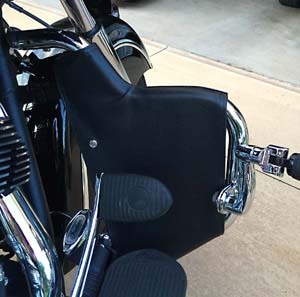 Excellent fit; installs easily on motorcycle engine guard bars. Pockets provide extra storage! 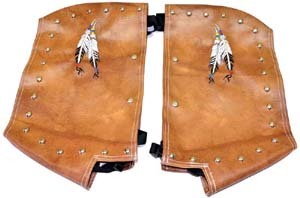 Fits Indian Chief and Chieftain. 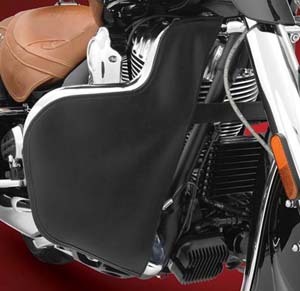 SL-INDT: Soft lowers/engine guard chaps/wind deflectors keep feet and legs warm and dry in rainy or cold weather - without the hassle of a bulky fairing. 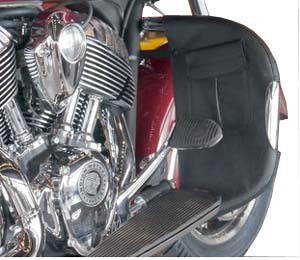 Made of top-quality material by American craftsmen, they fit like a glove and install easily on motorcycle engine guard bar, highway bar or freeway bar. 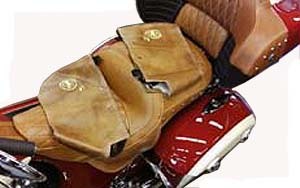 They require NO special tools or maintenance, and can be rolled/folded and stored in a saddlebag when not in use. 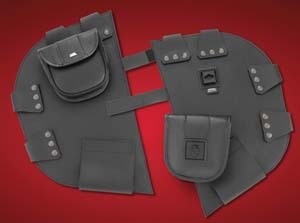 Ultra Pockets provide extra storage! 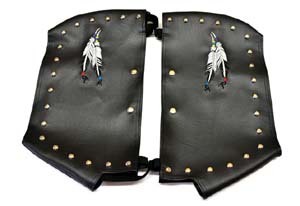 Made with top-quality leather-touch vinyl. 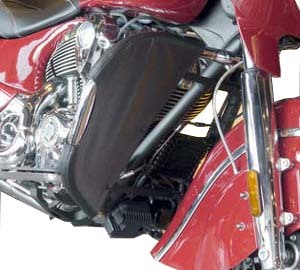 It has a soft inner layer to protect your engine guard bar, with the hard-working water-repellant layer on the outside. 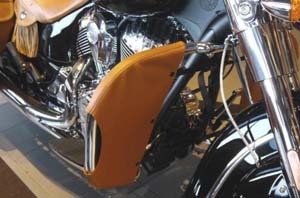 This vinyl looks like leather but lasts longer and doesn't require any maintenance or special treatment! 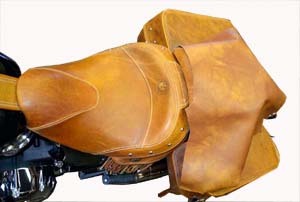 Roll 'em, fold 'em ... stuff 'em in your saddle bags. Cleaning requires only soap and water. 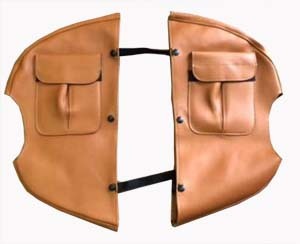 SL-VY: Custom order Soft lowers for Victory as shown. 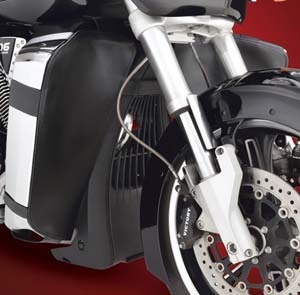 SL-V109: The round highway bars on the Victory Cross bikes now have the markets best highway bar protectors. 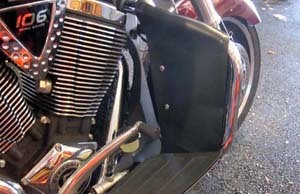 While highway bar covers protect from rain, sleet, bugs, cold weather and debris, the SL-V109's been doing it in style. 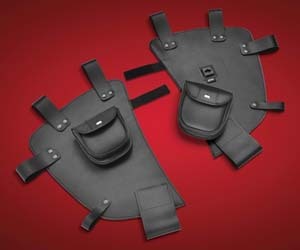 Comes with EZ Mount Classic medium pouches that provide 6'' x 5 ½'' x 2'' of storage convenience. Fits: Victory Round Bars, Cross Country, Cross Roads, Magnum, Made in the USA. 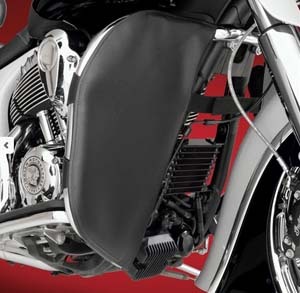 SL-V105: Soft Lowers for the Victory forged square highway bars found on Cross Country, Cross Roads, and Magnum models. 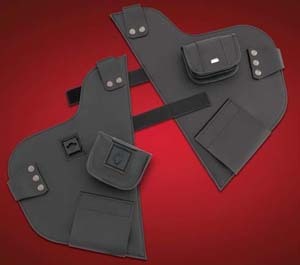 A nice feature is the included pair Storage Pouches that are 6’’ x 5 ½’’ x 2’’. 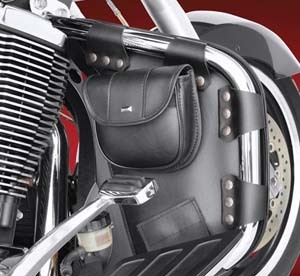 When combined with the Soft Lowers these pouches, provide great access to a convenient storage pouch. Made in USA.